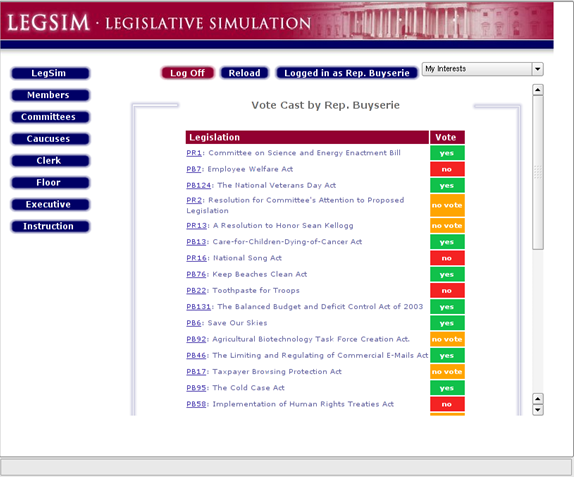 LegSim is teaching tool for US Congress (House, Senate), State Politics, and European Union courses. 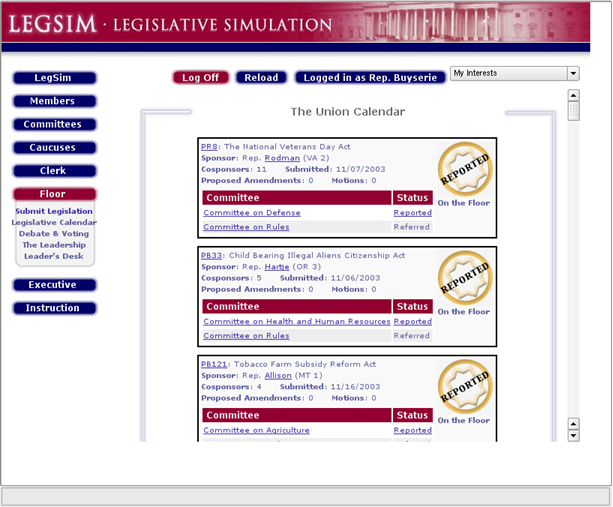 It is a dedicated virtual legislature that students organize and operate. LegSim offers easy administration and flexibility, while allowing virtually unlimited opportunities for student involvement outside of the classroom. LegSim is server hosted. There is no software to load, we handle the technical issues. The instructor and students access their dedicated session from any web-browser anywhere in the world. 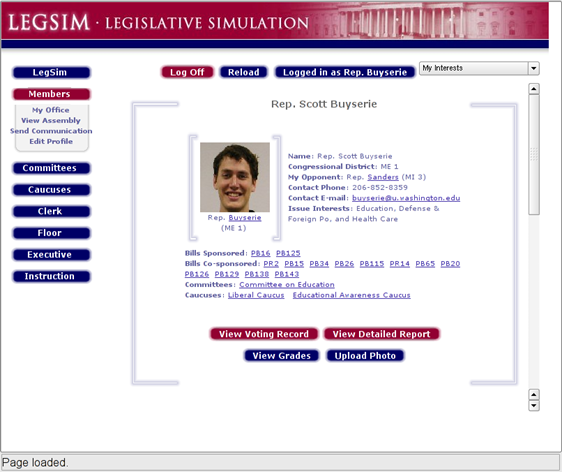 "Having the online process and all the additional benefits (like pictures and caucuses) makes this a much more manageable and realistic simulation than the ones I have devised and implemented in the past. This is going to be a permanent fixture from now on. Thanks for creating all of this."